Hamleys, one of the UK's largest and best known toy stores, has named its predictions for the top ten toys for this Christmas, as well highlighting a few rather more exotic toys for those that have the money. The more sensible top ten list includes the likes of the LeadPad Ultra - a newly ruggedised version of the young-child-friendly tablet range, which costs £125 - the Lion Chi Tempe - a new classic lego set that has a mystical temple theme - and the inevitable latest variant on the robo-puppy theme, the Teksta Puppy. which responds to physical gestures, light and sound, and can of course do backflips. However, the real eye-catchers were in the so called Exceptional Eight range. 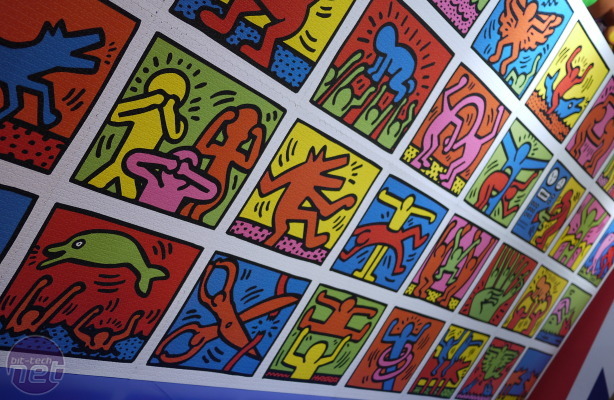 These include a 32,000 piece jigsaw puzzle designed by Keith Haring. When completed it's 5.4 x 1.9m and is officially the world's largest, and it's a snip at only £200. Then there's the Clydesdale Prancing Pony - a half-real-life-size soft-toy version of the classic Clydesdale horse. There are no animatronics in this one, just pure craftsmanship and enough strength that children can actually sit and play on it - yours for £850. However, taking the crown is the Luvley Limited Editon Tutu. 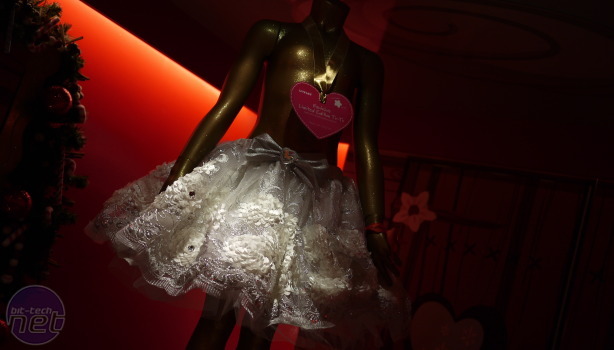 This handmade child's tutu is fashioned from silk lace and satin, and is encrusted with Swarovski crystals! Not bad for £250. 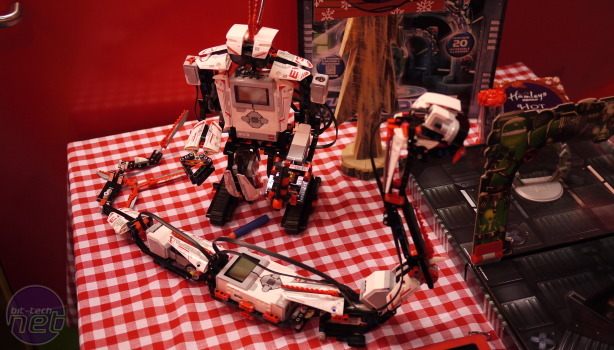 Bringing things back round to the world of tech, one toy for the big kids among you to look out for is the Lego Mindstorm EV3, which is arriving in September for £375. This programmable kit includes an ARM9-based processor, an SD slot and USB connector and forms both a snake and a robot. Although geared towards being child-friendly it is open for tinkering as it runs Linux. Inspired as to what to buy your children this Christmas, or have you seen something that takes your fancy? Let us know in the forum.